On the “to do” list for the Triplett Sisters is a trip to India to learn more about the textile treasures. But this exhibition at the Museum of Fine Arts in Houston, gave us a taste to remind us why India needs to stay on our bucket list. 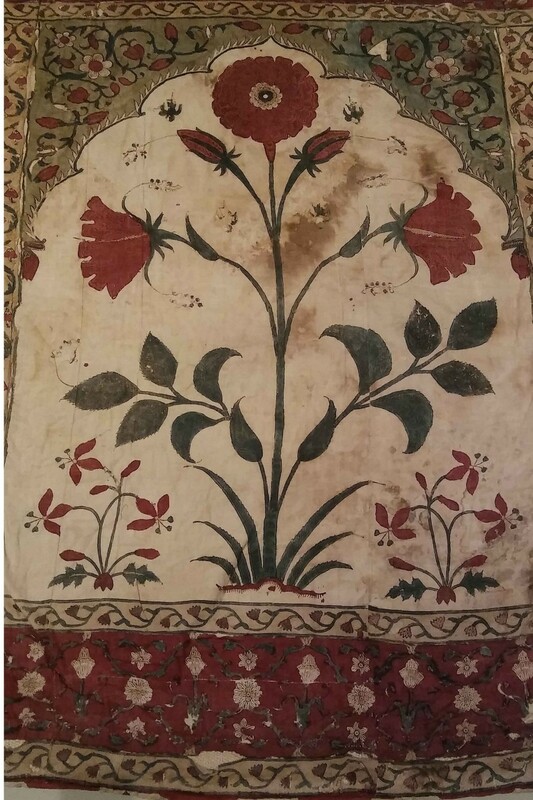 It displayed three centuries of royal treasures from the kingdom of Marwar-Johpur. 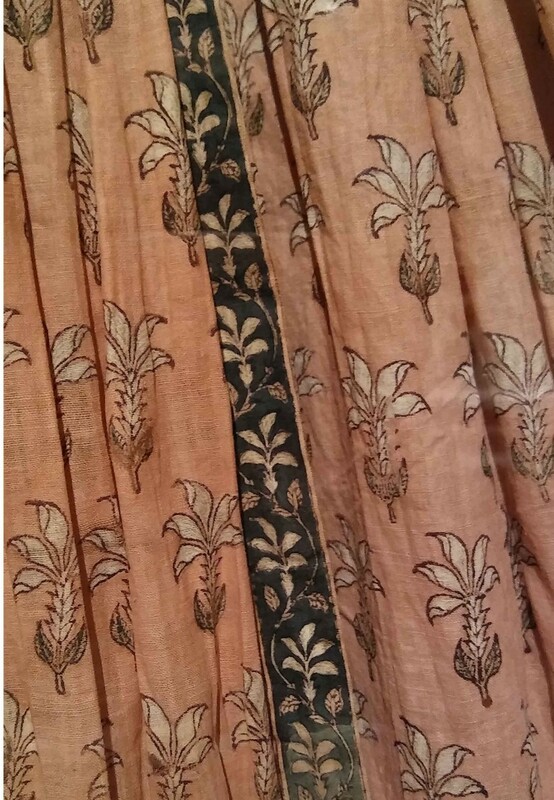 Of the 250 objects on display, a large percentage of it was textiles. If you missed the exhibit in Houston, don’t worry the display travels to Seattle next Oct 18- Jan 21 and then Toronto. As we toured the exhibition I was stunned by the direct correlation to quilting. 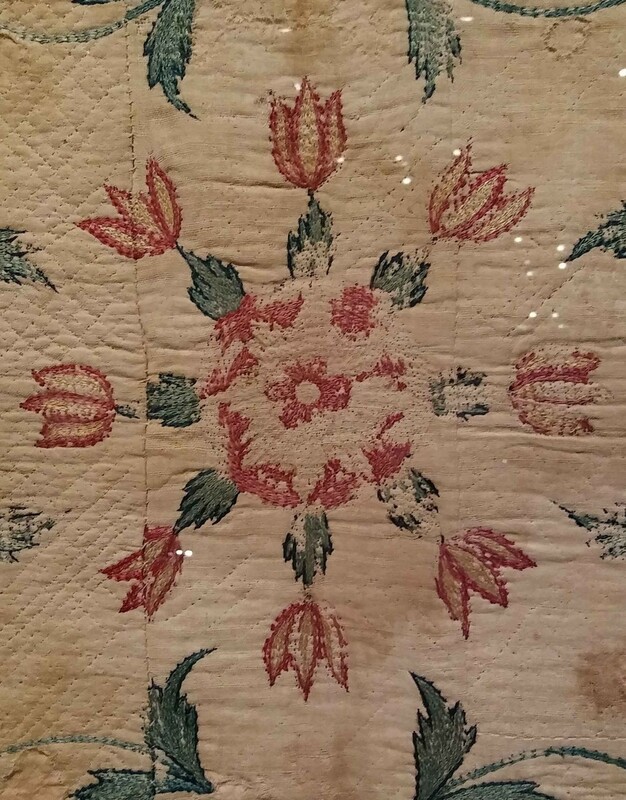 Not just the fact that chintz and other cotton fabric was included, but that shapes of jewelry replicated the feathered quilting designs we use. Or a tent panel that is very similar to the Carolina Lily block above. Or what about the design in the center of this panel that looks like a Rose of Sharon block. There was a collection of hats, one which included a bag that appeared pieced with a star at the center. 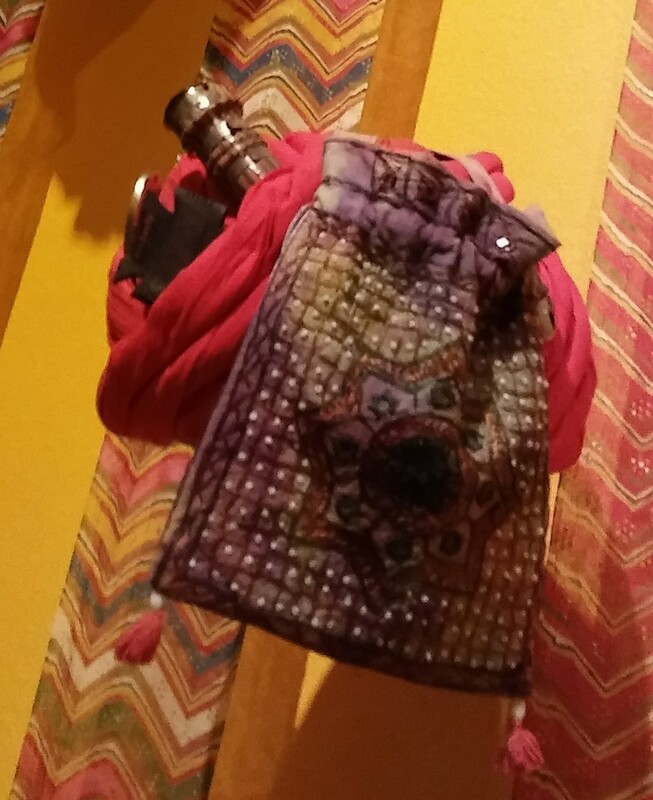 A mini quilt bag, conveniently perched on the head to keep the hands free. 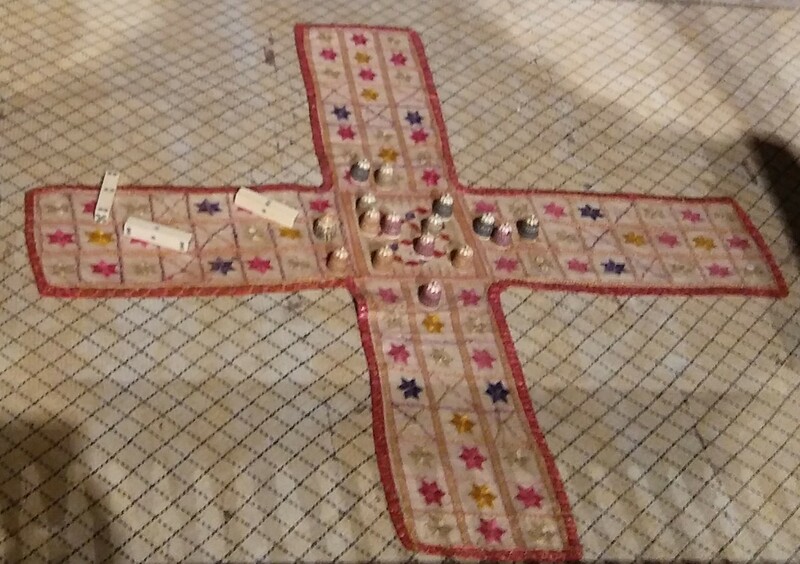 Then there was this game made entirely of fabric, which would roll up and travel well. With as much travel as I do, it seems like an idea I might replicate now, if I can learn how to play the game.